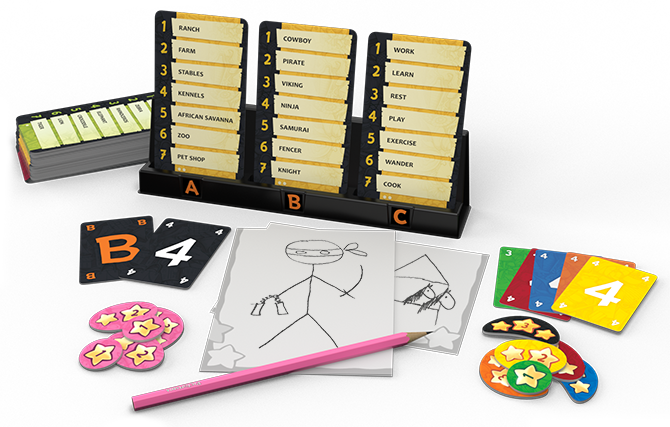 Pictomania is available in North America now! We don’t know if they were skilful carriers, the sea was quiet, or the game just wanted to be played as early as possible, but the fact is that last week our warehouse in Madison reported that Pictomania landed! Usually it takes almost 2 months just to ship a container full of our games from one side of Atlantic Ocean to the other. This time, it made it in less than the half the time. We are really happy that everything went smoothly to get the new version of Pictomania to you. Now is the time to let your favorite hobby store know that you are ready "to draw and guess at the same time". A great way to share your images is to use Instagram with #Pictomania and #CzechGamesEdition. Looking forward to your creativity.